Want To Live A Heart Based Life? 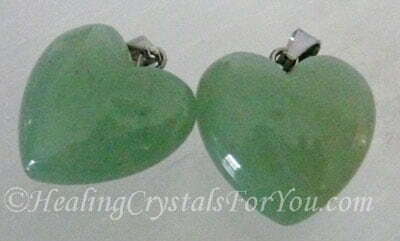 Heart chakra stones are wonderful healing crystals that help the area of the body where love, compassion and the desire for happiness are birthed. 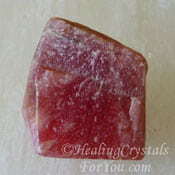 The 4th chakra meanings relate to feelings of love, compassion, peace and unconditional love. 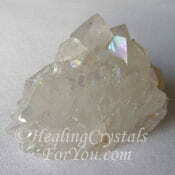 This chakras meaning is all about the concept of 'loving' in all meanings of the word including in a sacred sense. 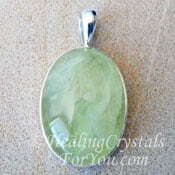 It vibrates with an energy that assists you to live life from the heart. 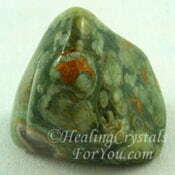 Where is this chakra? 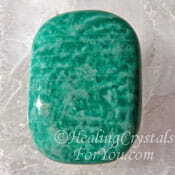 This chakra is located in the center of the chest and is associated with the thymus gland. 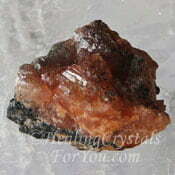 It is the fourth and central chakra of the seven chakras. 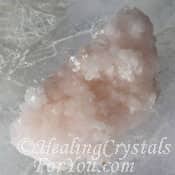 It is the dividing line between the higher and lower chakras, and it is important that it is operating well to aid both your emotional and physical health. 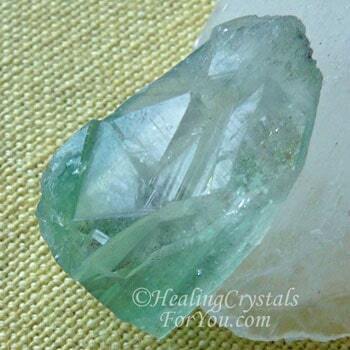 The heart chakra is the area of the body that is most important to have balanced, as it has a strong relationship to the giving and receiving of love. Living your life from a heart based perspective is very valuable, as it is what keeps your life on track and help you to live with happiness and contentment. 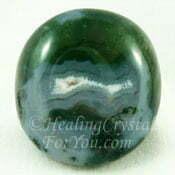 When this chakra is balanced you live your life with a greater sense of compassion for yourself and those around you. You are enabled to create a better connection to the source of all that is and to experience Divine love. 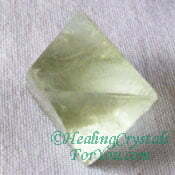 When this chakra is unbalanced this is when you may find that you begin to feel fearful about life. Issues may develop such as co-dependent situations in relationships, along with feelings that you are unworthy or unlovable. 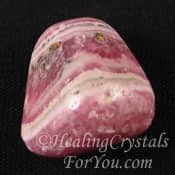 When the energy in this area is lacking, you may feel unable to accept love from people in your life and find it hard to forgive others. You may also be willing to accept circumstances in relationships that are not in your best interests, and that erode your self esteem and self worth. 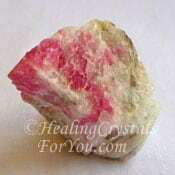 Health difficulties related to the heart can also be linked to a lack of positive energy within the heart area. 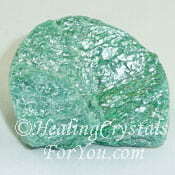 Stress related issues can be related to the heart chakra being unbalanced. 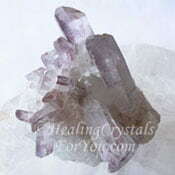 Health worries also related to this area include specific heart health issues, as well as immune system concerns, and problems in the chest such as asthma and hay fever. 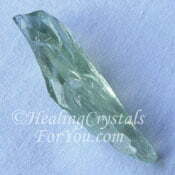 The use of Kyanite before you begin to use any stone is advised. 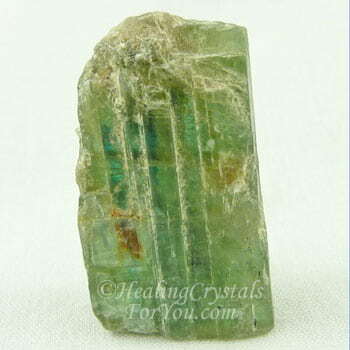 Although it comes in many colors the heart chakra attunes very well to Green Kyanite. 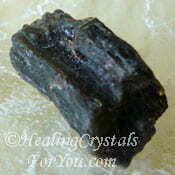 The principal reason for using Kyanite is to bring all of the chakras into alignment. 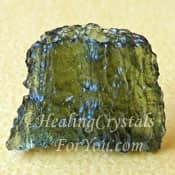 Not only will green Kyanite do that, but as well it will bring you into alignment with nature and the world in which you live. 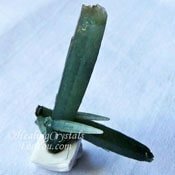 It brings adaptability and stability to your life, and if combined with the Blue Kyanite, will help you to be more balanced when you begin to assimilate any psychic abilities opened by the Blue variety. 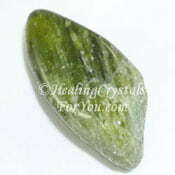 Green Kyanite also helps you to feel the truth of the heart and know if those you are talking to are speaking 'truth'. 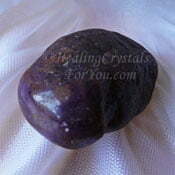 You may then follow this with the individual chakra stones for this chakra. 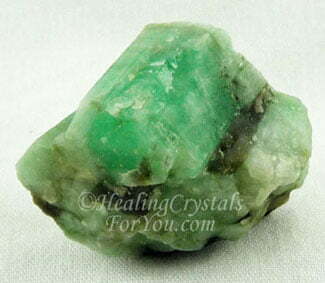 The number of stones and crystals that you can use to stimulate the 4th chakra is enormous. 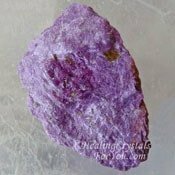 Many are in the colors for this chakra, but a good number of crystals that are not in these colors are also strong heart chakra stones. 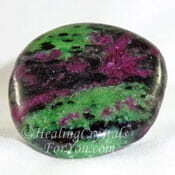 The heart chakra resonates well to the chakra colors of green and pink and so the pink and green stones are powerful to aid this area. 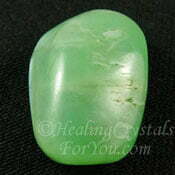 All of the chakras from the heart chakra up are associated with spirituality and healing. 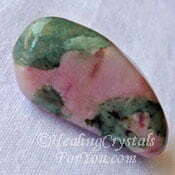 Both the green and pink crystals not only heal the physical body but resonate with the spiritual concepts of love, compassion and truth. 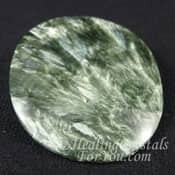 As the heart chakra is one of the higher chakras, the high vibration healing stones may be used to help you to improve its function. 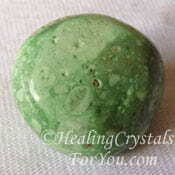 If you use some of the other heart chakra stones first until you adjust, later you may progress to the higher vibration stones. 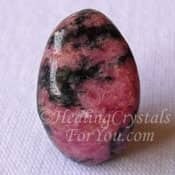 There are many beautiful pink and green stones, and most have the added advantage of being obtained at a reasonable cost. 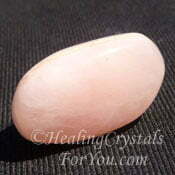 Quite a few attractive and effective pink or green stones are easily obtained. 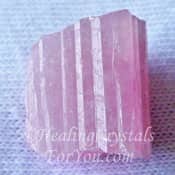 Some examples of well known pink or green crystals are Pink Rose Quartz and Pink Rhodochrosite, and the green crystals such as Aventurine and natural green Emeralds. 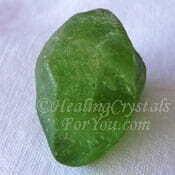 The higher heart or thymus chakra also assists in ones receptiveness to Divine love, forgiveness and the release of fear. 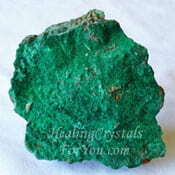 A good number of the the stones mentioned also resonate within the higher heart. 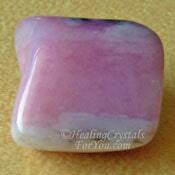 Who Should Use the 4th Chakra Stones? 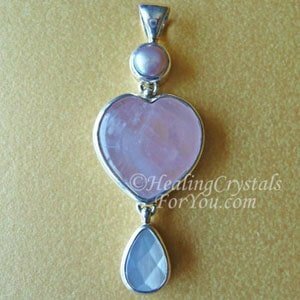 For women it is advisable to use heart chakra stones to improve the energy flow in the breast area as a preventative measure. 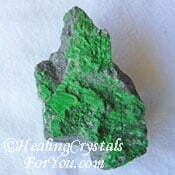 There are many lovely green crystals that have a strong heart based energy. 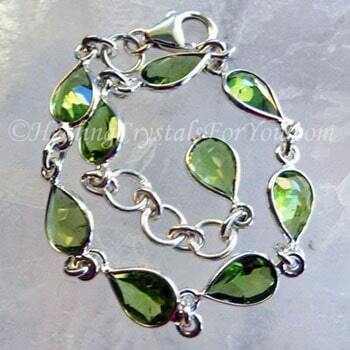 Wearing a bracelet or pendant made from one these green stones is a powerful aid for women. 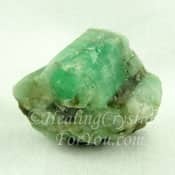 Another way to keep the energy close to you, is to put a small tumblestone, such as a piece of Green Aventurine in your bra, or in your pocket. 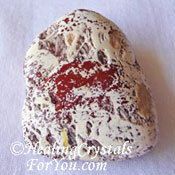 If you have any physical problem in the chest area, including the heart, these stones may assist you. 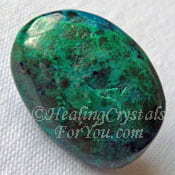 Of course using these stones is not a substitute for medical attention. 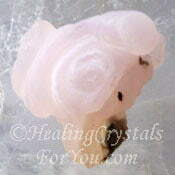 One of the heart chakras main functions is to care for the vital organs in the vicinity. 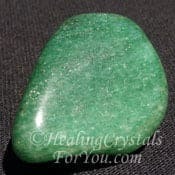 If the energy of the heart chakra is not in balance, a side effect may be heart and circulatory problems, pneumonia and bronchitis and breathing problems such as asthma and allergies. 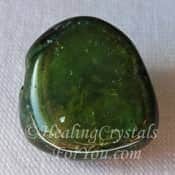 It is easy to buy heart chakra stones, and using some stones mentioned here, may raise the vibration of this area, and create improved health. 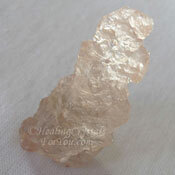 By improving the health of the area, the thymus gland may improve your immune system and create better overall health. 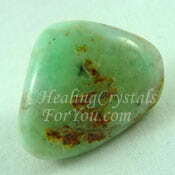 Some stones with intense crystal energy will work simultaneously on all chakras above and including the heart chakra. 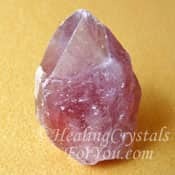 This includes all of the chakras from the heart chakra up to the crown chakra as well as transpersonal chakras, which are above the crown chakra. 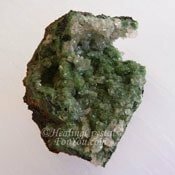 The green high vibration crystals such as Green Moldavite, Green Datolite and Green Herderite are very powerful heart stones, as are Pink Danburite and Petalite. 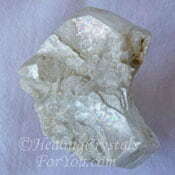 Please note that occasionally if you are using high vibration stones you may have difficulty adjusting to them. So it may be wise if they are new to you, to adapt slowly to them. 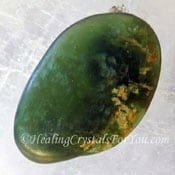 You may notice that quite a few of the heart crystals are not green or pink and there are a huge variety of stones of other colors that are advantageous to heal the heart area. 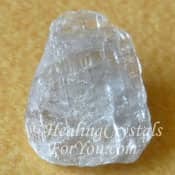 If you wish to heal an area of the body one of the easiest ways is to wear the chakra stones in jewelry, and there are many beautiful heart crystals that are readily available. 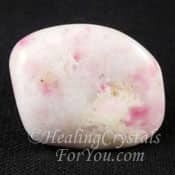 One of the most well known stones is the gorgeous Pink Rose Quartz, which is well known as a heart based stone, that resonates a strong loving vibration. 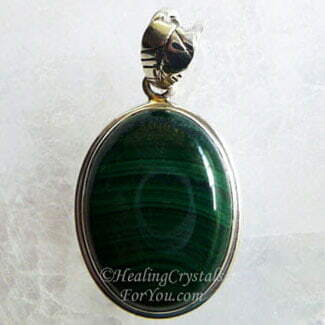 You may choose to wear your heart chakra crystals in the chest area, and wearing jewelry such as pendants is one of the most advantageous methods to keep their vibration close to you. 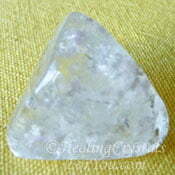 Some women even wear tumble stones in their bras. 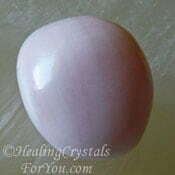 This way the chakras energy will be directly impacted by their closeness, but any method that keeps the stone both within the aura and the chakra area that you are treating is helpful. 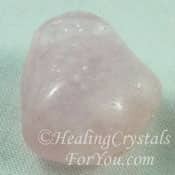 Quite a few of the chakra stones for the heart are beautiful pink or green crystals, that will assist you to live life from a heart based perspective, and aid you in learning how to be happy. 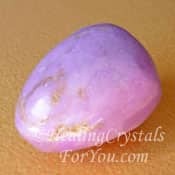 Many of the chakra stones have properties that are extraordinarily beneficial, but not all heart chakra stones are green or pink. 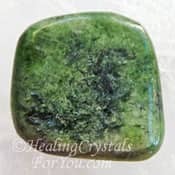 The energy of green healing stones like the lovely light-reflecting green Fuchsite, are very beneficial to have close to you. 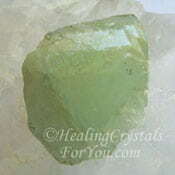 How will heart chakra stones help you? The feelings generated of unconditional love and compassion are able to become more easily assimilated. 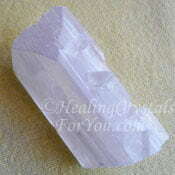 This aids you to live an authentic life filled with peace and harmony, in accord with your true self. 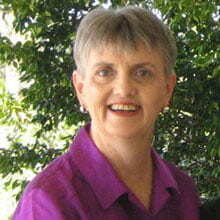 You may be enabled to live your life from the energy of your heart and be truly happy. 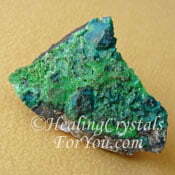 As you live your life more authentically you find you will feel happier, more in tune, balanced and harmonious. "Dancing with your feet is one thing, but dancing with your heart is another." 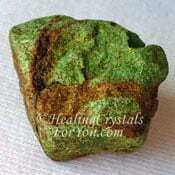 Many of the stones discussed here have had in-depth pages written about them. 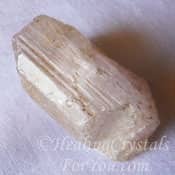 So its easy to discover more information about any of the crystals on this page, and its simple to learn if its been written about somewhere else on this site, and where. 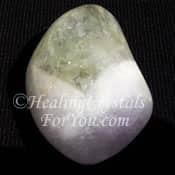 There are a very large number of heart chakra stones and although there are a lot shown on this page there are many others not pictured here. 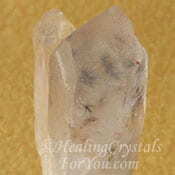 Other crystals and stones that also have a good effect when used at this chakra include the following... Heart Chakra Crystals A to E: Actinolite, Adamite, Aegirine, Ajoite, Anatase, Angel Aura Danburite, Antigorite, Apache Tears, Apophyllite, Aqua Aura Quartz, Aquamarine, Aragonite Star Clusters, Ascension Stones, Atacamite, Auralite 23, Azurite, Beryllonite, Bixbite, Blizzard Stone aka Gabbro, Bloodstone, Blue Aragonite, Blue Hemimorphite, Blue Lepidolite, Botswana Agate, Bowenite, Brazilianite, Cancrinite, Carnelian, Cavansite, Celadonite In Quartz, Charoite, Chlorite Phantom Quartz, Chrysanthemum Stone, Chrysotile, Creedite, Crocoite, Cryolite, Cuprite, Demantoid Garnet, Dianite aka Siberian Blue Jade, Dravite Brown Tourmaline, Eckermannite, Eilat Stone, Elestial Quartz, Epidote, Erythrite, Ethiopian Opal, Euclase- Blue & White, Eudialyte. 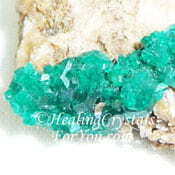 Heart Chakra Crystals E to M: Fire Quartz, Fulgurite, Gaia Stone, Gem Silica, Golden Aura Quartz aka Imperial Gold Quartz, Golden Healer, Green Andradite Garnet aka Demantoid Garnet, Green Apatite, Green Chrysoberyl, Green Heulandite, Green Selenite, Green Stilbite, Grossular Garnet, Healers Gold, Hemimorphite, Hiddenite, Himalayan Gold Quartz, Holley Blue Agate, Hypersthene, Inesite, Jeremejevite & Schorl, Kambaba Jasper, Kimberlite, Kornerupine, Larimar, Lavender Quartz, Lemurian Jade, Libyan Desert Glass, Lilac Lepidolite, Linarite, Magnesite, Marialite, Matorolite aka Mtorolite, Mt Hay Thunderegg aka Star Agate or Amulet Stone, Mt Shasta Opal, Muscovite. 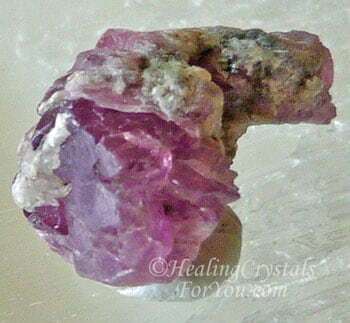 Heart Chakra Crystals N to Z: Nebula Stone, Nepheline, Nephrite Jade, Nirvana Quartz, Ocean Jasper, Pargasite, Pink Calcite, Pink Scapolite, Poppy Jasper, Preseli Bluestone, Pumpellyite-Mg, Pyromorphite, Quantum Quattro, Que Sera, Red Spinel, Rubellite aka Red Tourmaline, Ruby In Fuchsite, Ruby In Kyanite, Ruby, Scolecite, Septaria, Serandite, Serpentine Stone, Shamanite Black Calcite, Shattuckite, Shiva Lingam, Siberian Green Jade, Sillimanite aka Fibrolite, Sinhalite, Smithsonite, Spurrite aka Strombolite, Staurolite, Stellerite, Stibnite, Stichtite in Serpentine aka Atlantasite, Stilbite, Tanzanite, Tibetan Black Quartz, Tiffany Stone, Tinaksite, Turquoise, Unakite, Vivianite, Watermelon Tourmaline, Wavellite, Witches Finger, Zoisite and Zircon.